Thanks for visiting! Make sure to sign up for a FREE Team Beachbody Account to get support, keep you motivated, and gain access to tools to keep you on track with your health & fitness goals. The Shakeology 3-Day Cleanse Kit will help you kick start your fitness journey, bust through an irritating plateau or quickly drop pounds in a safe and healthy way. Most who complete the 3-Day Cleanse report 3-8 pounds lost, but remember this is a STARTING point and a great first step before starting a full program like P90X, Insanity, Turbo Fire or Body Beast. The Shakeology 3-day cleanse will also remove toxins, reduce bloating and get your system recharged. 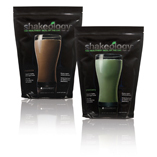 I have decided to create a special Shakeology 3-Day Cleanse product item to make it easy to order! *Individual results will vary, there is no guarantee of weight loss, but you should feel better after the three days and ready to start a fresh workout program. For a longer term reset, look into the 21-day Beachbody Ultimate reset. WATER!!! At least half your body weight in ounces. For example if you are 160 pounds, you should have 80 ounces of water DAILY - MINIMUM! NO DAIRY (beyond the Whey that is in Shakeology), added sugars, processed foods or artificial sweeteners. Choose a low calorie dressing for your salad. NO extra DAIRY products at all for maximum results. Only lots of water! No almond, soy or rice milk for best results. Drinking a lot of water also helps curb any hunger you may feel as it will keep your stomach full. Use the basic layout below above all three days, and be smart. Listen to your body, if you do not feel well, STOP! If you feel light headed or hungry, have some orange juice or extra fruit. This is not a starvation cleanse, as you can see there is quite a few calories. This is not meant to be done on a long term basis and is simply a way to jumpstart your system before you enter a workout program. I would not recommend working out during this and you may want to start on a Friday and go through the weekend when you don't have a lot of activity. Individual results will vary, there is no guarantee of weight loss, but you should feel better after the three days and ready to start a fresh workout program. For a longer term reset, look into the 21-day Beachbody Ultimate reset. Free support from your coach! ** flavors are available on a first come first serve basis!